You can rub the roll-on on your wrists for a fresh, warm aroma. You can swipe it on the back of your neck for a spicy fragrance or pack it in your travel bag/purse and use it before a long or busy workday. I like to mix up my DIY wood floor blend. Sometimes I will add Lemon, Orange or Tee Tree Essential Oil in. Around the Holiday's I''ll add Pine essential oil. 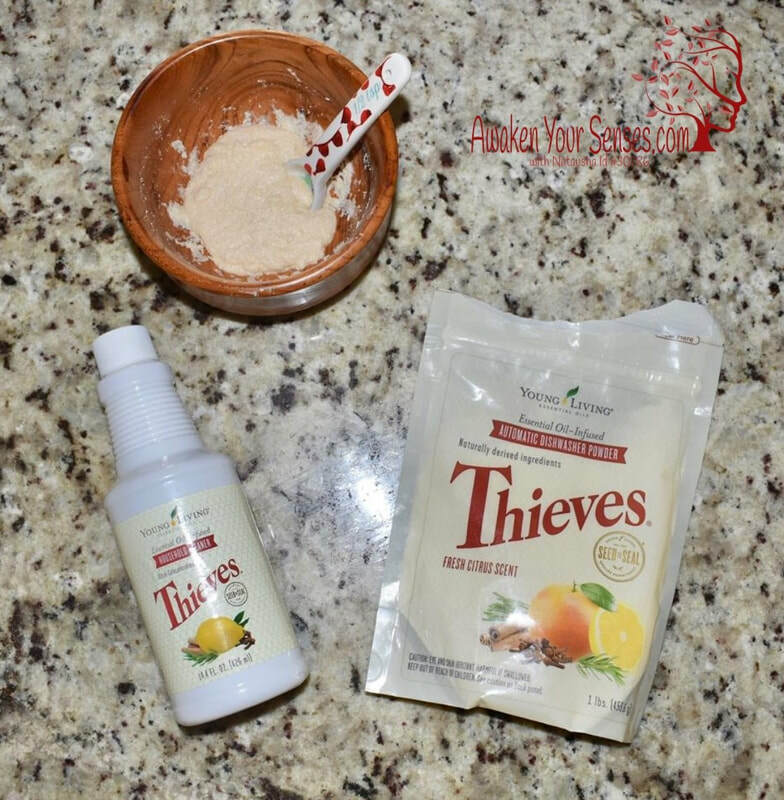 Thieves all-purpose cleaner can be used on any surface in your home for dusting, spot cleaning, scrubbing, or any other cleaning need. Wherever you use it, you’ll feel good knowing it’s safe to use around everyone in your family, including pets. Spot test in an inconspicuous area before applying this product to woods, plastics, fabrics, and granite. If staining or damage occurs, discontinue use on the material. 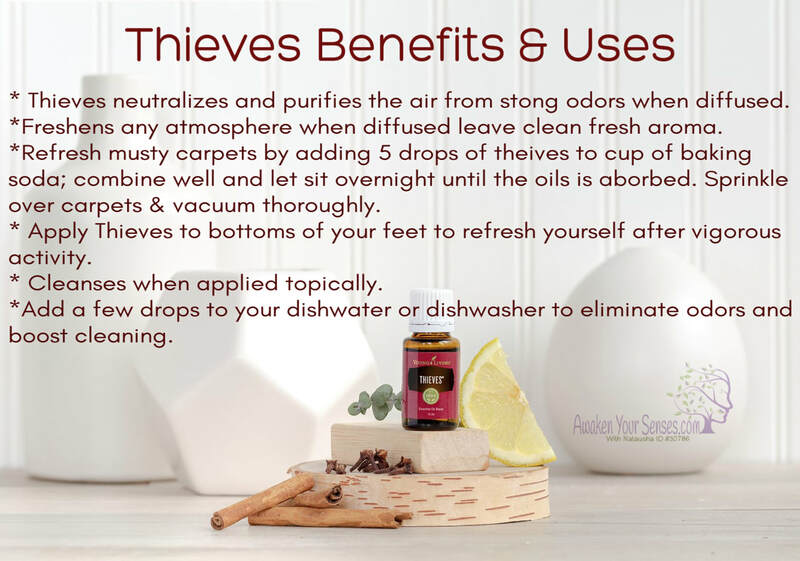 Glass and mirror cleaner: Combine 1 capful Thieves Household Cleaner, 5 drops Citrus Fresh™ essential oil blend, 1 teaspoon white vinegar, and 3 cups of water. 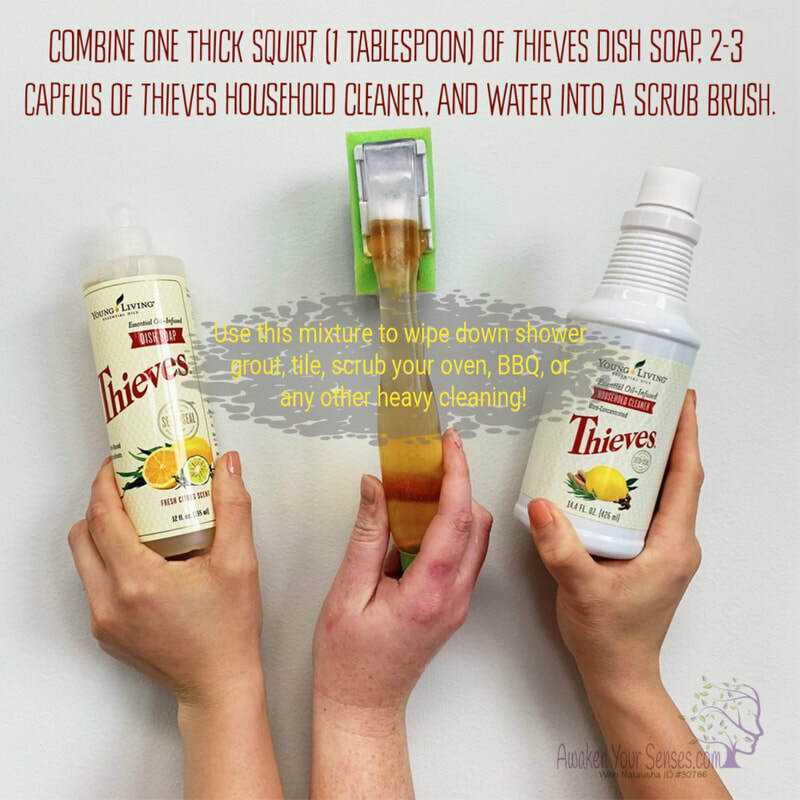 DIY—Thieves scrub for toilets, sinks, ovens, laundry & more! Mix around a 1/3 cup detergent with 1 capful of Thieves cleaner and mix until it forms into a paste. If the powder is still dry, add more cleaner.